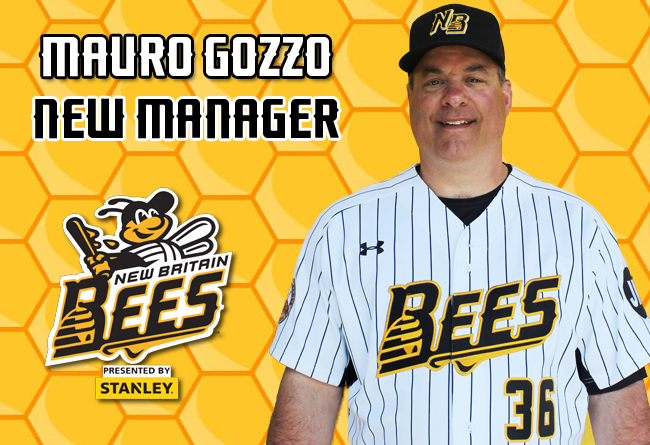 (New Britain, Conn., Jan. 8, 2019) – The New Britain Bees today announced that they have named Mauro “Goose” Gozzo as the third manager in team history. Gozzo replaces Wally Backman and returns to the Bees for his second season in the Atlantic League after working as the team’s pitching coach in 2018. Born in New Britain, Gozzo began his playing career after being drafted out of Berlin High School by the New York Mets in the 13th round of the 1984 MLB amateur draft. He spent three years in the Mets organization before being traded to the Kansas City Royals as part of a deal for David Cone. After a couple of campaigns with the Royals organization, he joined the Toronto Blue Jays, where he would make his Major League debut in 1989. The righthander had a six-year big league career, also playing for the Cleveland Indians (1990-91), Minnesota Twins (1992), and Mets (1993-94). Over the course of 48 career Major League appearances (13 starts), he owns a 7-7 record in 124.0 innings pitched. Gozzo led the New Britain pitching staff to a 3.71 ERA in 2018, which ranked third in the Atlantic League. Prior to joining the Bees, he has been involved with a multitude of baseball initiatives. Gozzo has been a private instructor, teaching the likes of big leaguers Matt Cain and Drew Pomeranz, and also coached a nationally ranked elite competitive travel team in the Connecticut area for nine years. Across his 12-year playing career, Goose has made 349 career minor league appearances (126 starts). He owns 79 victories with a 3.83 ERA and 692 strikeouts in 1,134.2 innings. The New Britain Bees are members of the Atlantic League of Professional Baseball, and play their home games at New Britain Stadium. For information on tickets packages, group outings and sponsorships call 860-826-BEES (2337) or visit NBBees.com. The Atlantic League has been a leader in professional baseball and a gateway to Major League Baseball since 1998. Over 40 million fans have attended Atlantic League games and more than 900 players and 50 managers and coaches have joined MLB organizations directly from the ALPB. The Atlantic League emphasizes winning baseball games, showcasing the talent of top-caliber players and offering affordable family entertainment.